of the reason's for its exceptional capacity. no smelly or hazardous chemicals. 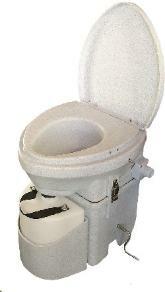 The only thing you have to add to this toilet is COIR or peat moss. wastes and turn them into fertilizer or compost. years; and COIR Bricks are lightweight and easy to store. the liquid bottle and lift it out of its holder. vent hose and then slide the upper section off its open ended hinge. Undo the 2 thumb screws on the base and it’s ready to empty. help start the composting process all over again. compost!) when you open it..
WITH YOUR COMPOST TOILET ORDER!